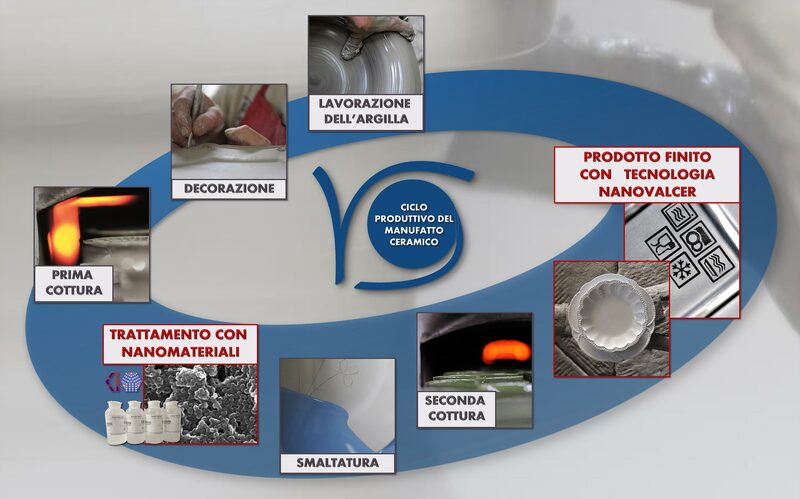 Through NanoVALCER we want to combine the traditional techniques for the production of artistic ceramics with the new techniques for the functionalization of the materials used in nanotechnology. We want to get a new line by Ceramiche Virginia which maintains the Tuscan artistic excellence by improving the endurance of the final product. We want to introduce nanomaterials on the majolica surface to reduce the porosity of traditional ceramic artefacts.